Chief Justice Participates in the Istanbul Conference "The Role of Higher Judiciary in Protecting the Rule of Law and Fundamental Rights"
Chief Justice Chancellor Emad Saleem Sa’ad participated in the first international conference under the theme of "The role of Higher Judiciary in Protecting the Rule of Law and Fundamental Rights". 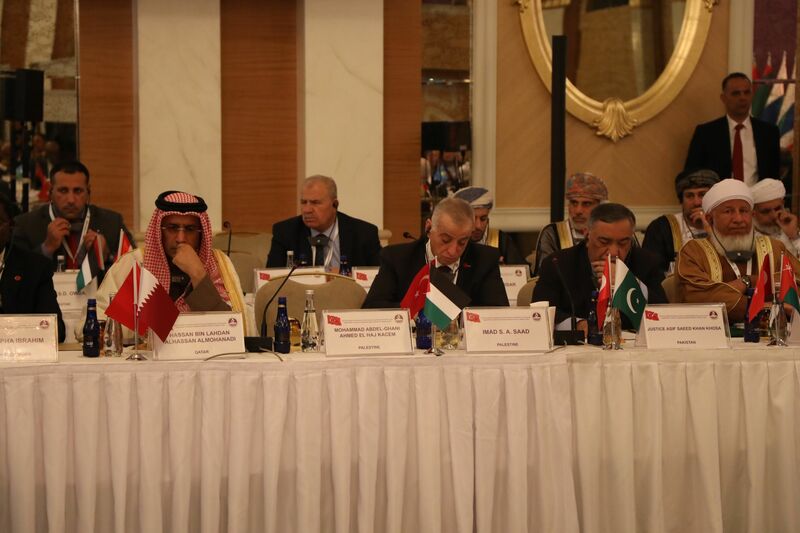 The conference intended to provide a legal forum in order to establish a constructive and fruitful dialogue among Higher Courts of the Organization of Islamic Cooperation Member State. Chancellor Sa’ad assured on the importance of independence of judiciary and the separation of three authorities in order to guarantee justice for rights and freedoms and rule of basic law. It is worth noting that Mr. Recep Tayyip Erdogan opened the conference at Dolmabahce palace.